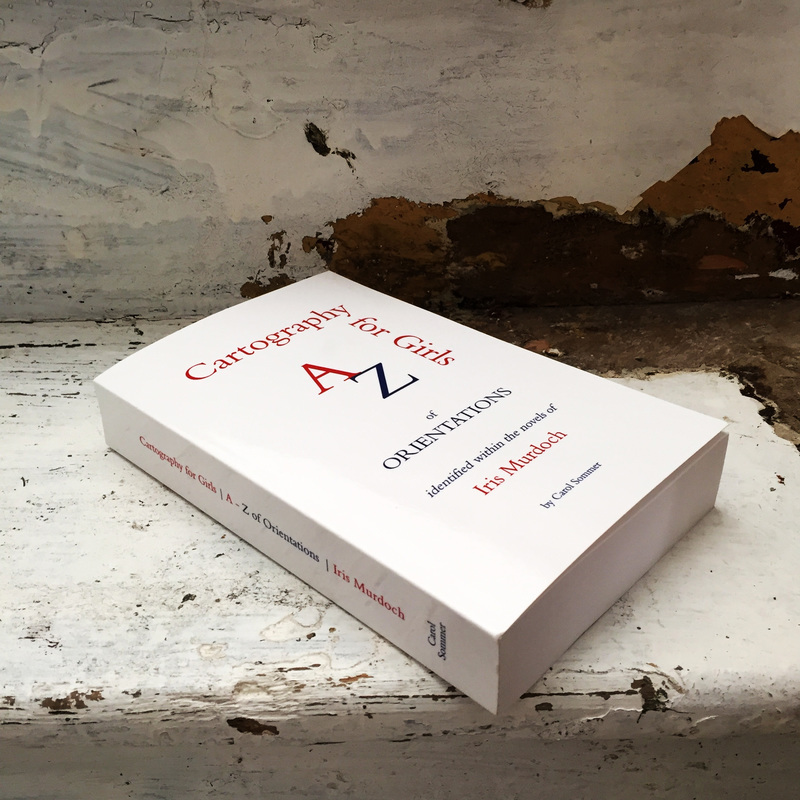 Cartography for Girls, An A - Z of Orientations identified within the Novels of Iris Murdoch, attempts to identify and to map without hierarchy all of the experiences of women's consciousness in all of Iris Murdoch’s 26 novels. Whilst there are many ways of thinking about what might constitute women's experience, in this instance, responding to the author’s warnings about the dangers of classification, the strategy used to compile Cartography for Girls, was to apply Iris Murdoch’s philosophical thinking to her fictional depictions of gendered subjectivity in novels originally published between 1954 and 1995. These experiences relate to love, a major focus of Iris Murdoch's work, and for her, truth and love are very much connected. In Metaphysics as a Guide to Morals (1992), she describes loving as “an orientation, a direction of energy, not just a state of mind.” Individual consciousness, she tells us, is ultimately truth seeking, therefore “what we attend to, how we attend and whether we attend” is an integral part of moral activity. Whilst the author clarifies that not all states of consciousness are evaluating (or can be evaluated), it is the thoughts of her women characters that have been collated as ‘orientations’ in Cartography for Girls. Iris Murdoch's warning that classification should never be more than a serious game is something that I try to both trope and resist in my practice as a whole. The book is an invitation for readers to engage with the serious game on their own terms in relation to fictional feminine subjectivity depicted by one of the 20th Century's great woman writers. The book is published by INFORMATION AS MATERIAL. The launch for its publication took place at Reading as Art, Bury Art Museum & Sculpture Centre in October 2016.